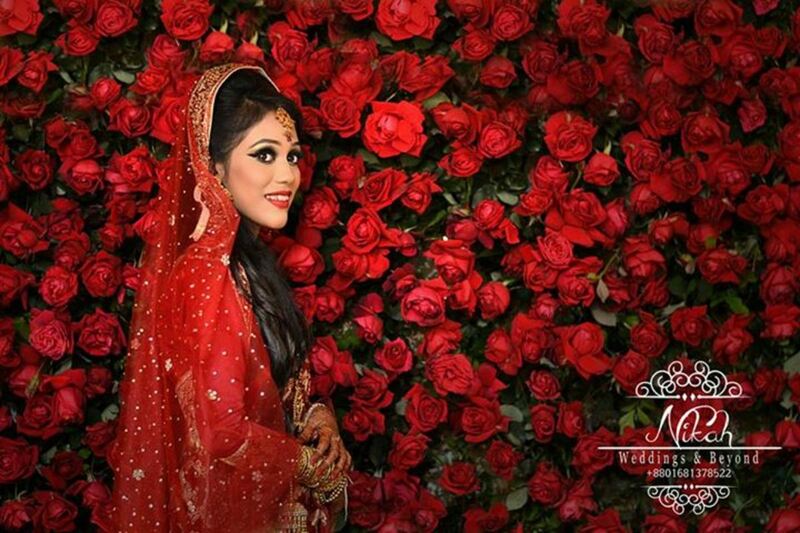 Whenever a girl goes to a wedding in Bangladesh, they rush to where the newlyweds sit against the backdrop of beautiful floral decorated stage and her eyes focus on the bride’s face first and foremost before taking in the rest of her appearance. Why is that? 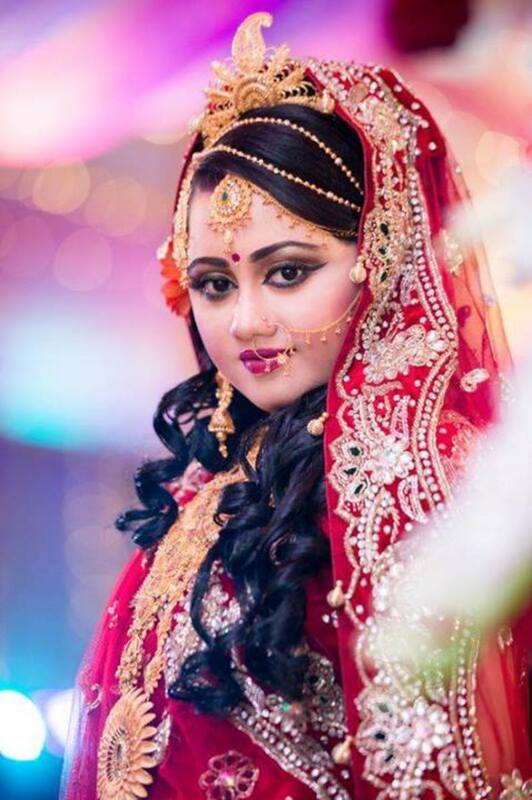 Well of course to see if the makeup does justice to this highly-anticipated event, the marriage ceremony, which is usually celebrated grandly in Bangladesh. If the makeup is to the girl’s liking, she will go to the trouble of finding out to whom or to which beauty parlour the credit goes. Even after attending countless such ceremonies, she is faced with a dilemma when it comes to her own impending wedding ceremony. She is lost, confused and afraid to pick a beautician to hand over her bridal face to. It is common to come across Facebook statuses by soon-to-be brides seeking advice about which place is the best place. I faced such scruples just before my own engagement ceremony a couple of months ago, and that is when I realized how daunting it must be for all other soon-to-be brides. That is when I really came to understand what they went through and maybe are still going through. 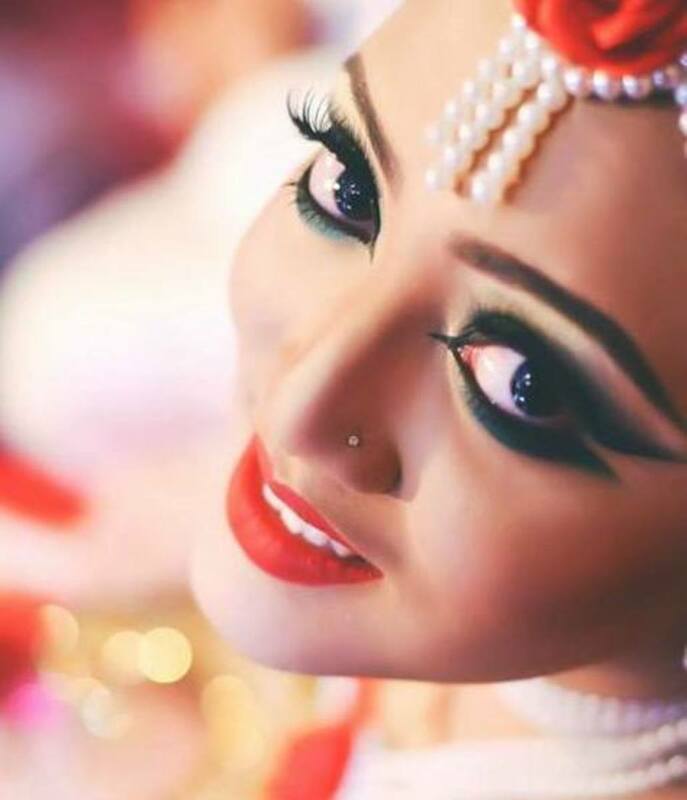 This was the main reason behind me writing this for all you beautiful and gorgeous ladies of Bangladesh so that you can at least get a little help to decide which parlour to choose so that you can be your own Lush Princess on your wedding day! 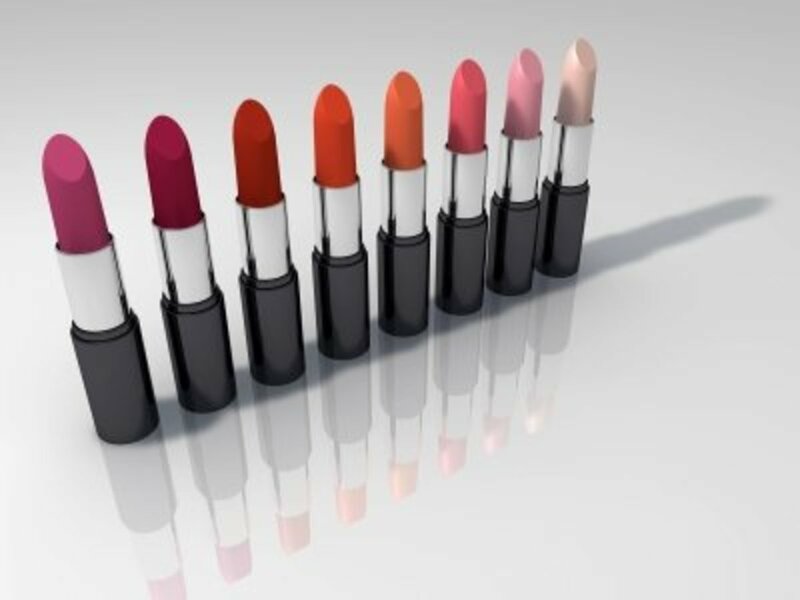 Although there are numerous beauty parlours in Bangladesh, this article will be limited to the city of Dhaka. 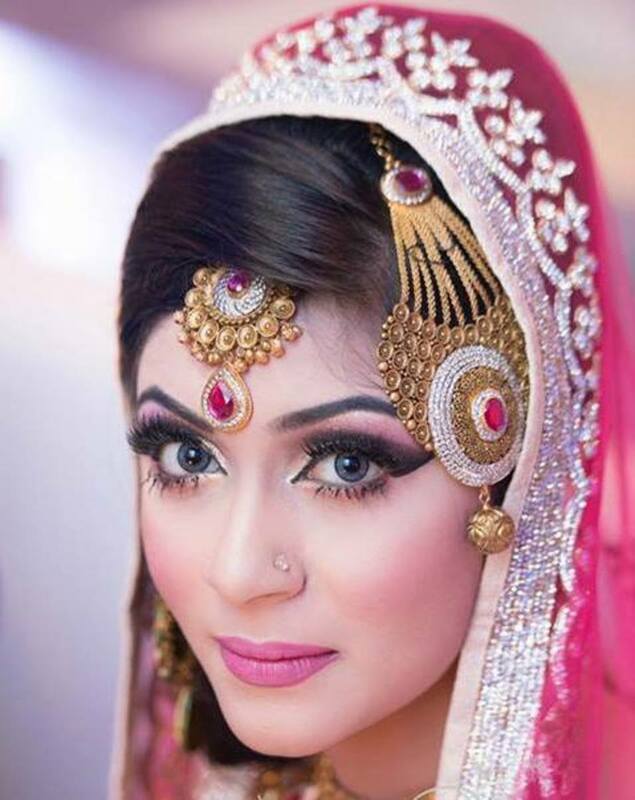 Best package - Sadiya Moyeen will do your full makeup from concealer, eyes, contouring, blush and lips. This will cost you BDT 18,000. Medium package - She will do your eyes, contouring, blush and lips for BDT 16,000. Basic package - She will do your eyes only for BDT 13,000. For all the above packages, Ms. Moyeen—like all top beauticians—will not do your hair, nails, help you get dressed or put on jewelry. 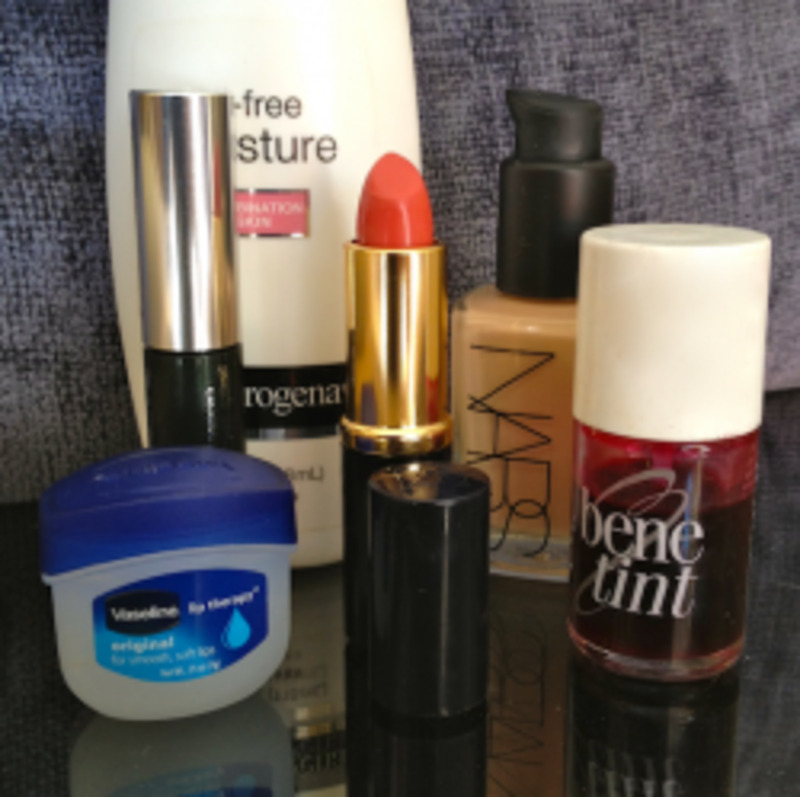 A senior beautician will assist Ms. Moyeen to do the base, concealer, blush, etc., depending on which package you choose. At the top of my personal list is none other than the awesome beautician Ms. Sadiya Moyeen at La Belle Beauty Salon. 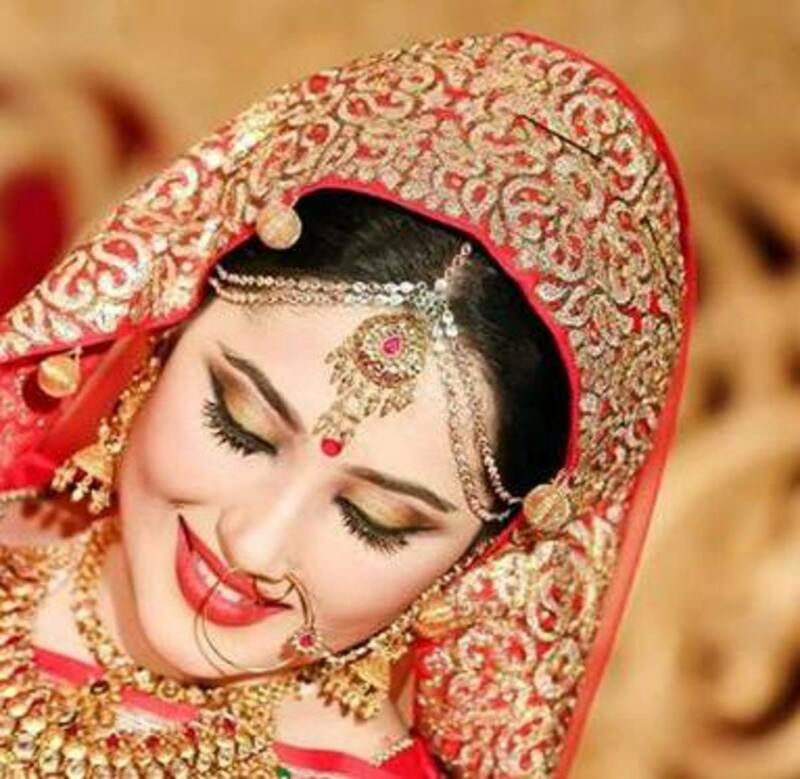 Although other senior beauticians at La Belle are very good artists, if you are considering a bridal makeover then I would always, always suggest to opt for the very best, Sadiya Moyeen herself. It’s your wedding ceremony we are talking about and what better time to pamper yourself, right? Ms. Moyeen has a fantastic eye for detail and her eye makeup is exceptionally trendy and somehow makes your eyes pop out in a most becoming fashion. Ms. Moyeen genuinely cares for what the bride wants for her makeover and is very accommodating and comfortable to sit with. 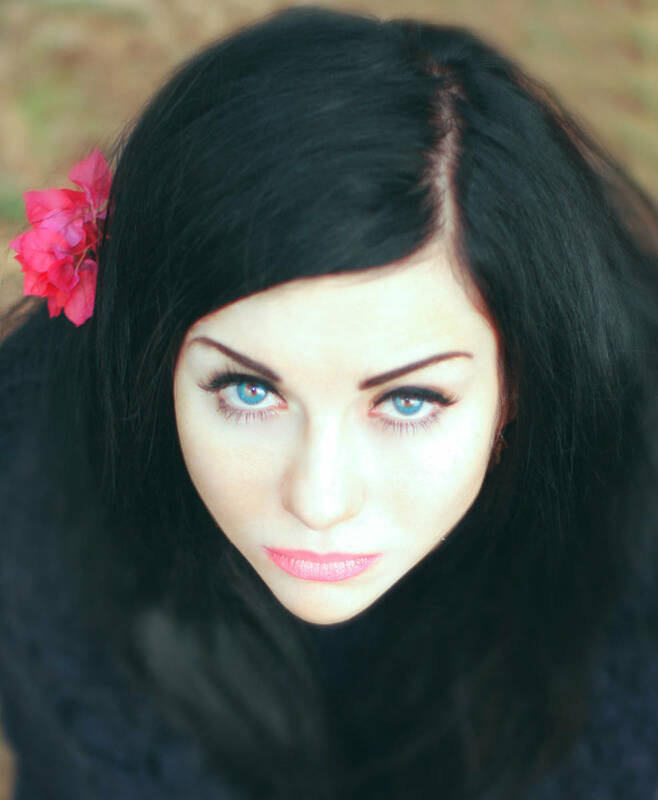 La Belle brides are usually more natural looking with gorgeous eyes and lips. Heavy contouring is usually not common here which is one of the main reasons why many women choose this salon over others. 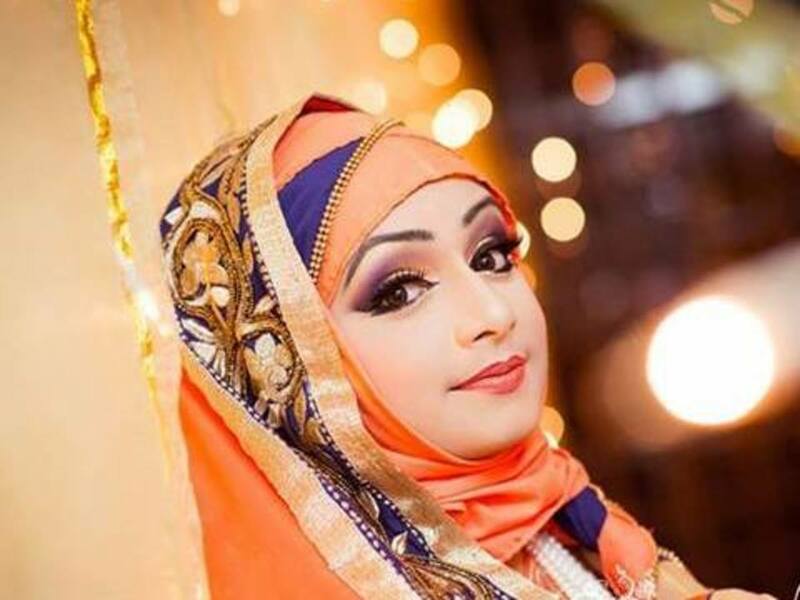 Sadiya Moyeen makeover of a beautiful Bangladeshi bride in hijab. 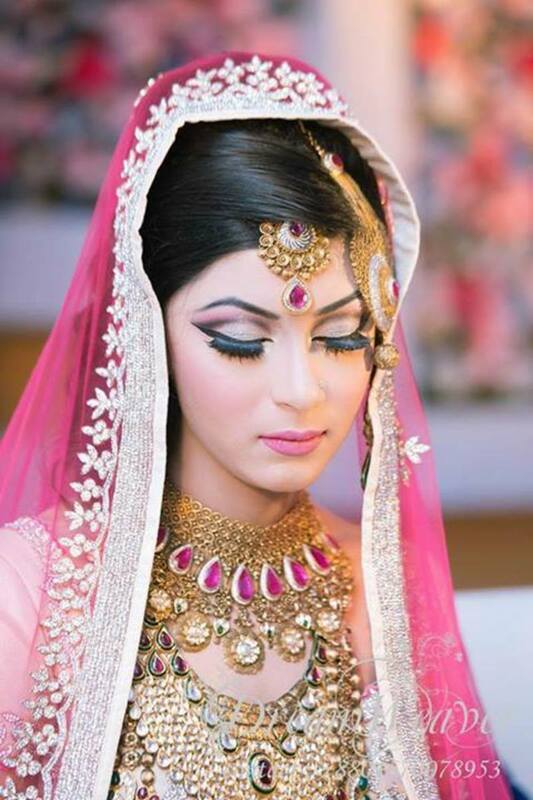 Exquisite bridal makeup by Ms. Sadia Moyeen, La Belle. Road 16 (New) 27 (Old), Dhanmondi R/A Dhaka. Farzana Shakil’s—or FS as we girls refer to it—is another high-end Dhaka parlour. There are some girls who actually dream of being prepared for their special day by no one else other than Ms. Shakil herself. I have also seen many a bride-to-be break down in utter sadness when turned down by the parlour due to a lack of time in her schedule. 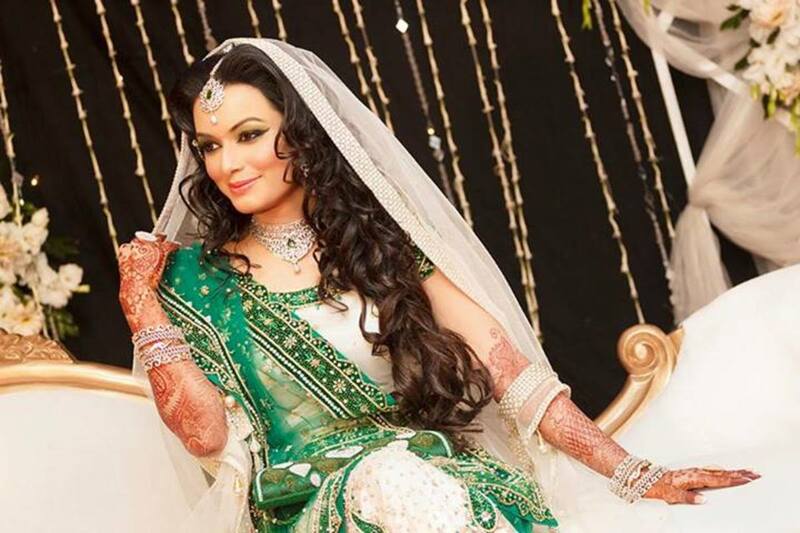 Farzana Shakil’s brides tend to be more model-like than the bride we expect at a wedding due to the heavy contouring and highlighting techniques she uses. Girls with angular jaw lines and sharp noses usually tend to look very sculpted in a diva-like manner when decorated by Ms. Shakil. 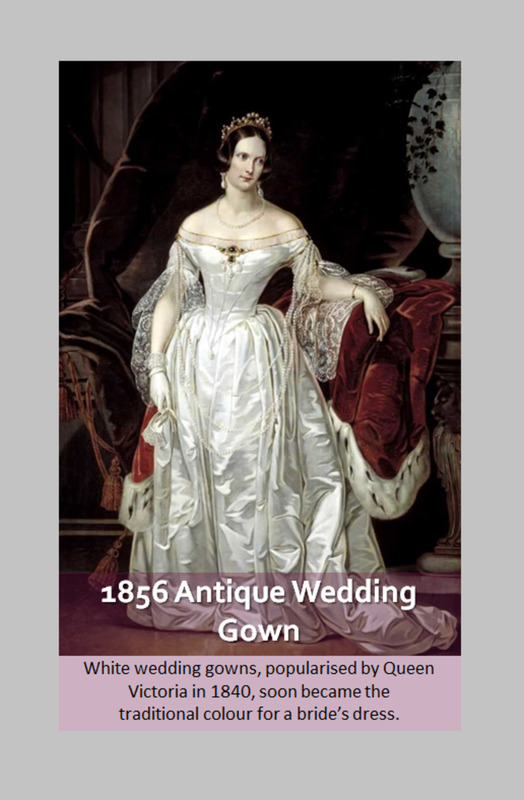 However, on the downside, many a bride has come out of the parlour devastated and unsatisfied. Of course, luck has a hand, but I'd rather blame it on an incompatibility between different face structures and skin tones with the use of bronzers, highlighters and contouring which fail to capture the true beauty of certain brides. 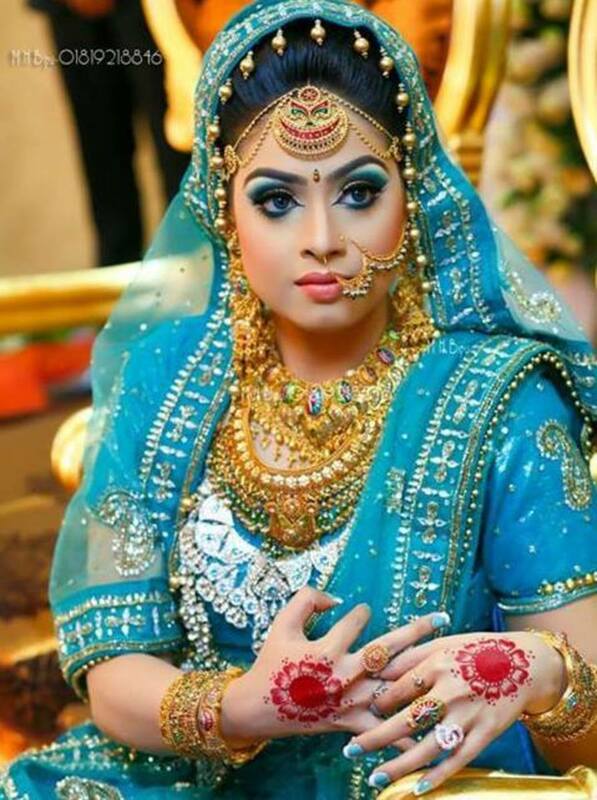 A lot of dark makeup is utilized in many of her brides which do not go hand-in-hand with her natural skin tone or face structure. 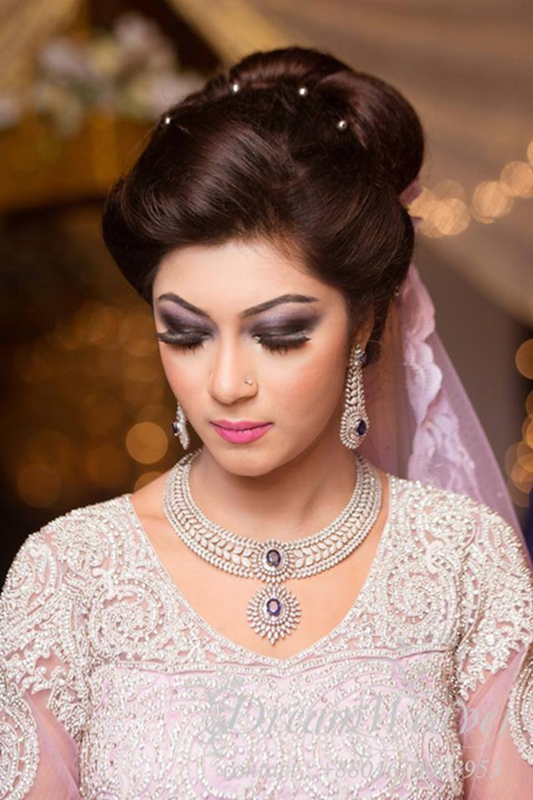 Bridal makeup by Farzana Shakil starts at BDT 20,000 and goes up to BDT 35,000. Bridal makeup by other artists at FS starts at BDT 8,000. 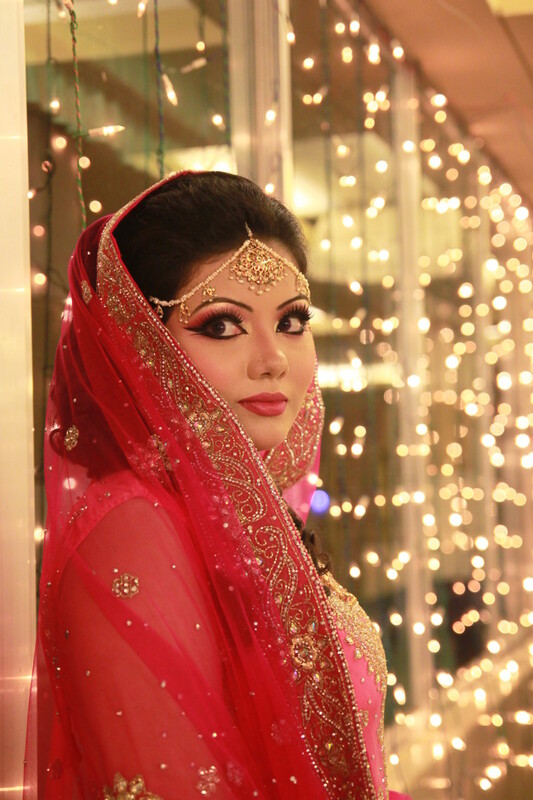 Farzana Shakil's makeover on a Bangladesh bride. Simple bridal makeover by FS. 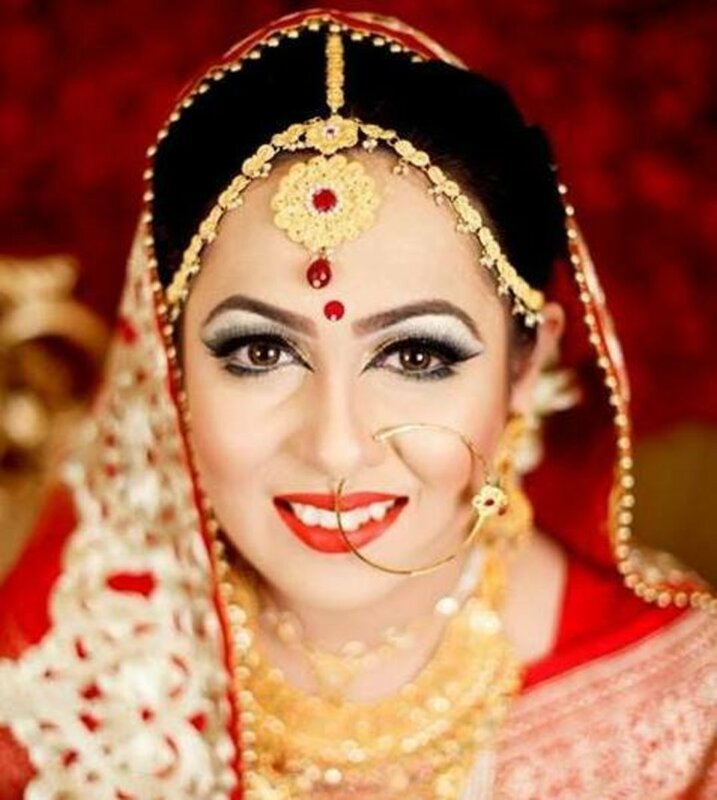 Beautiful bride by Farzana Shakil with gold eyes and lush red lips for her glamorous Bangladeshi wedding . 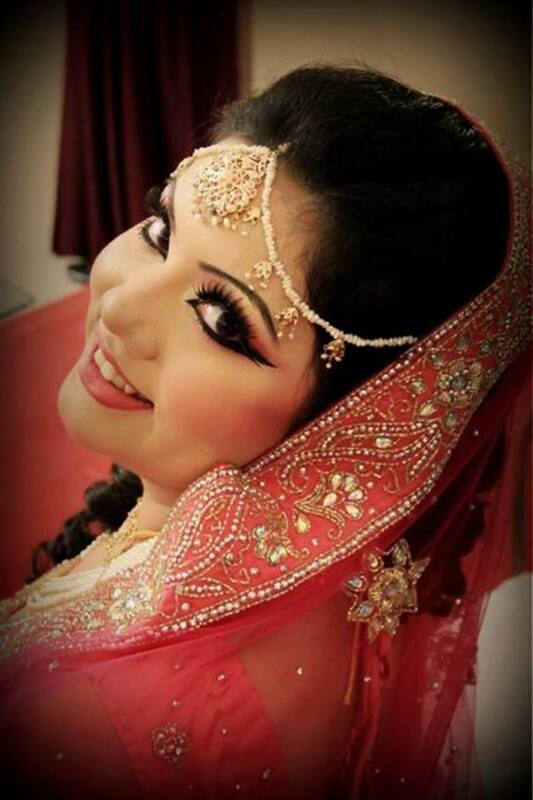 Farzana Shakil's bridal makeover. Smooth skin and beautiful eyes. 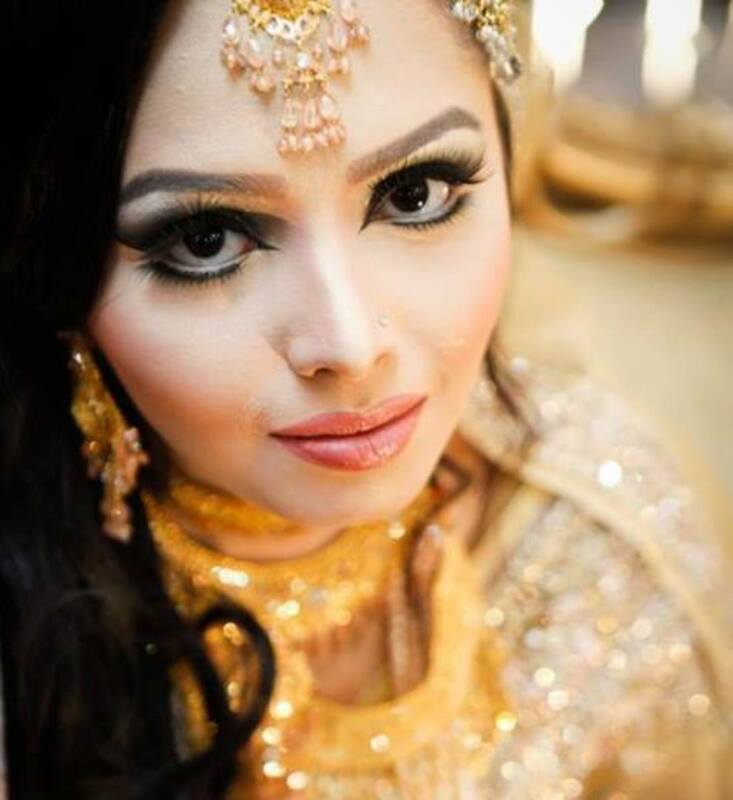 New on the scene of bridal makeovers is a male beautician who goes by the name Zahid Khan. His prowess has spread around Facebook like wild fire. At first many women were apprehensive of the idea of a male beauty artist in Bangladesh. However, he has warmed the hearts of many girls with the beautiful artwork on many brides’ faces and has become one of the most sought-after beauticians both by brides and fashion models. Zahid Khan has trademark eye makeup which produces extravagant eyes with elongated winged-out eye-liners both at the inner and outer corners. 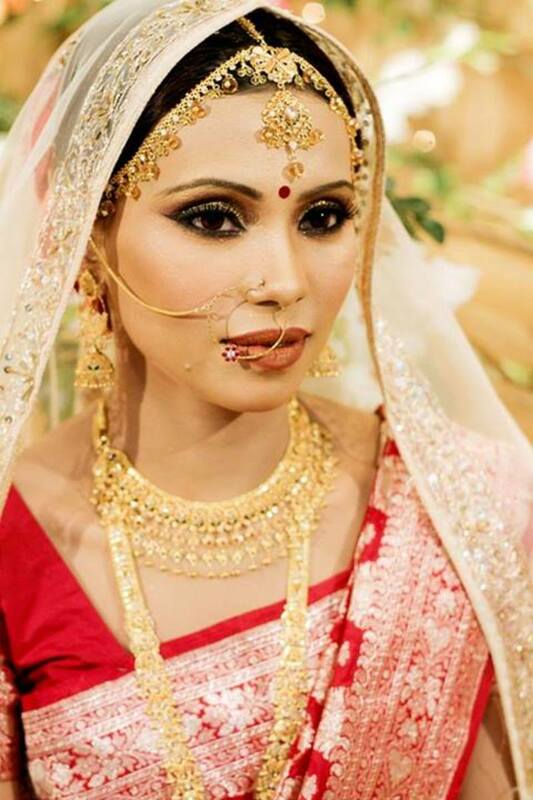 He can be said to be the pioneer of introducing white waterline eyeliner on the Bangladeshi bridal scene. His price range goes from BDT 8,000 to BDT 18,000 for brides and BDT 20,000 for models. His best package for brides looking to get the premium treatment would be the 18k package. Disappointing outcomes have been seen in his lower-ranged packages. 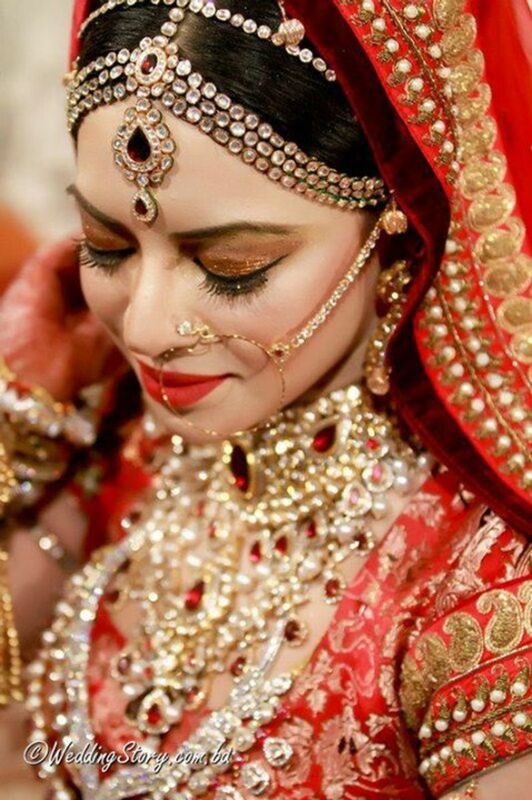 Gorgeous traditional look on a beautiful Hindu bride. Simple yet stunning makeover by Zahid Khan. 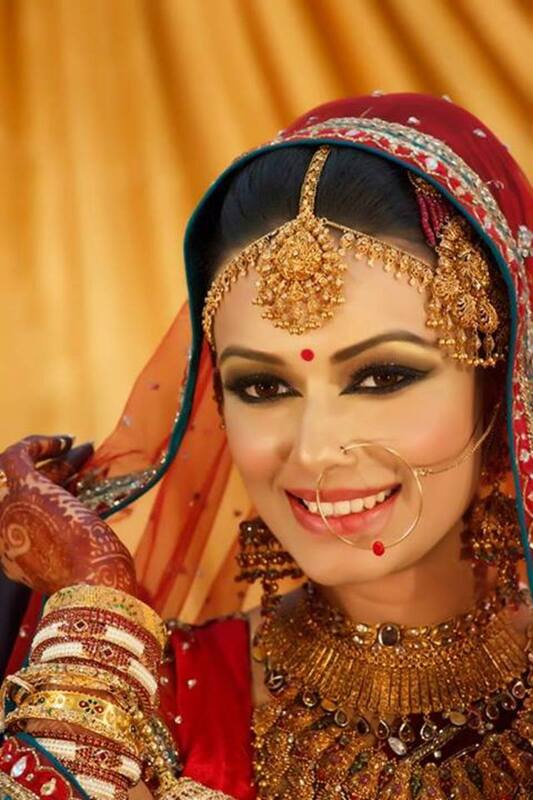 Bangladesh bridal makeover by Zahid Khan. Zahid Khan's favourite bridal eye makeup with elongated winged eyeliner flicks. 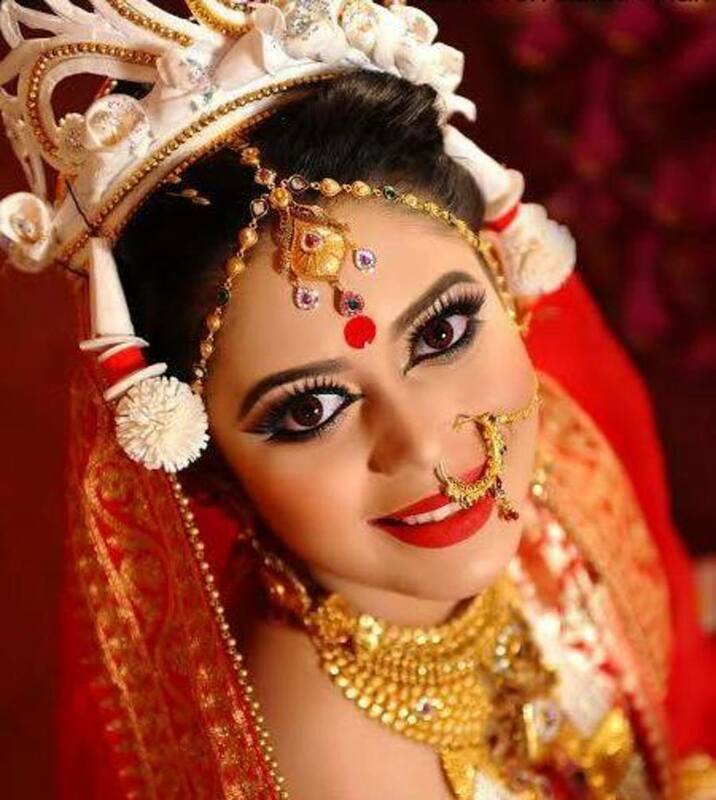 Which Beautician would you like to go to for your Bridal Makeover in Bangladesh? Sadia Moyeen at La Belle Beauty Salon?